It seems everyday we report on a new Netflix show picked up or in production. Today’s Netflix news is about a new crime drama/thriller set in England, following after the success of the multiple BAFTA award-winning series Happy Valley: a gritty British crime drama that became a hit in the U.S. after two seasons, with a third season set to air in 2018. The show, called Safe, just began filming in the U.K. and will be an eight-episode, one-hour drama, per Deadline. The recently commissioned series is produced by the same French production company, Studio Canal, that produces Happy Valley, making it the company’s first Netflix original, and is written by Harlan Coben. The series sees Michael C. Hall (Dexter) as a widowed pediatric surgeon with two teenage daughters whose picturesque, gated community gets thrown into turmoil overnight after a mysterious murder in the neighborhood. (We’re already predicting Hall reprises his serial killer role and is the culprit, to the horror of his daughters.) The drama stars Hall and Amanda Abbington (Sherlock), and is set to be released on Netflix in 2018. 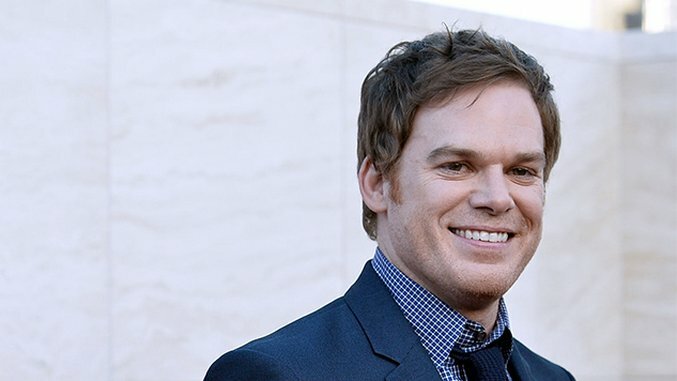 Hall, who won a Golden Globe for his performance in Dexter, hasn’t had a hit role in a few years now. Instead, the actor has lent his voice to several, softer titles including Justice League: Gods and Monsters, Star vs. the Forces of Evil and The Gettysburg Address. Hall will also appear on season two of Netflix’s The Crown as President John F. Kennedy, airing in November.